I have posted over 200 blogs to date about how best to find your happiness. These blogs, together with the videos found on this site as well as my book, have spanned the worlds of philosophy, positive psychology, mythology, and the fine arts. I have even touched on how the religions of the world have an influence on happiness in this life, versus their primary focus on achieving happiness in the next life. 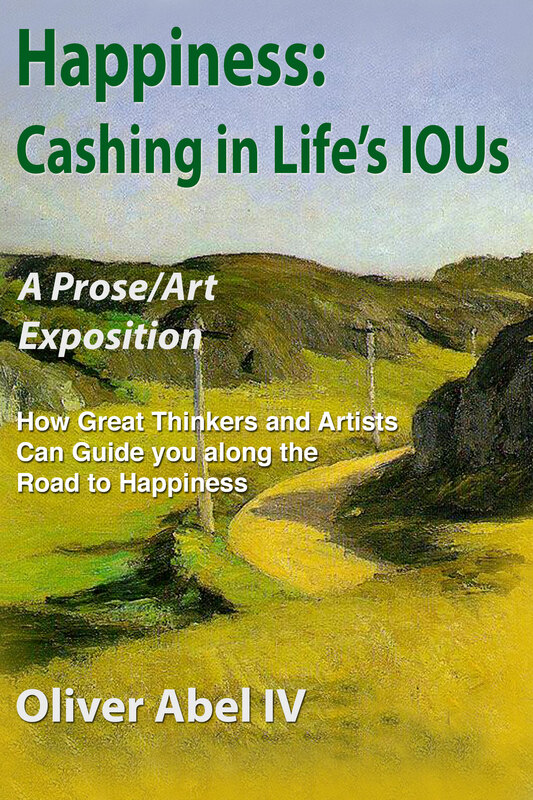 I now feel at a loss in presenting any new material – I feel that I have said all that needs to be said about what the great thinkers and artists believe is the road to happiness in this life. I think that the material in my book, in my videos, and in my blogs offer enough guidance to help you find your road to happiness. However, I would like to now go in a different direction by looking at how others are viewing their own roads to happiness. What I would like to do is begin with a poll. The results of this poll will let you see how others are viewing their roads to happiness, which might differ from your own. Let’s begin with a very famous painting that I discuss in my book – The Calling of St. Matthew, by Caravaggio. This painting presents Christ pointing to Matthew seated at the table, requesting that Matthew accept his call. Art historians of the past several centuries have debated among themselves as to which man at the table Christ is pointing to. Based on the works of the great thinkers as well as the works of the great masters of the fine arts (including Caravaggio), I believe that Christ is pointing to one man in particular. Putting aside for the moment the religious aspects of this painting, which are important in their own right, let’s focus instead on the decision to accept the call to a future adventure presented by Christ. At the table is Matthew, surrounded by his friends, who is being sent the call. The acceptance of this call by Matthew is the focus of this great painting. 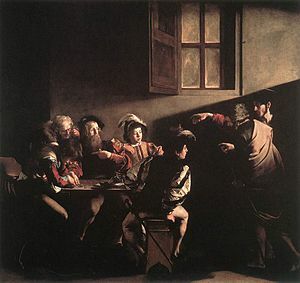 Caravaggio depicts Matthew as the one man at the table who possesses all the requirements needed to succeed in the Adventure being proposed by Christ. The man at the table that you select is a reflection of whether you are on the proper road to happiness or not. The following poll will reveal whether others agree with you. This entry was posted in Uncategorized and tagged Adventure, Caravaggio on August 7, 2015 by oliver.